After my 5 year hiatus of being a flexitarian (is that what’s it’s even called? ), I recently added back chicken and turkey. With my grain-free diet, it’s another solid option, so I’m going with it. And I remembered how much I like chicken sausage! 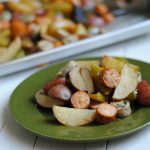 I’ve been buying these Bilinski Organic Chicken Sausages which make for super quick meals … including today’s recipe: Sheet Pan Sausage, Potatoes & Peppers. This was literally one of those meals where I looked in my fridge and thought, hmmm … what can I throw together quickly and easily? I saw the chicken sausage. Next I spotted the potatoes. Now just for some vegetables, I thought! Voila; I had dinner planned. If you want a meal that you can prep ahead of time and then dump and cook, look no further. In search of a meal that will get two thumbs up all around that even a novice cook can make? 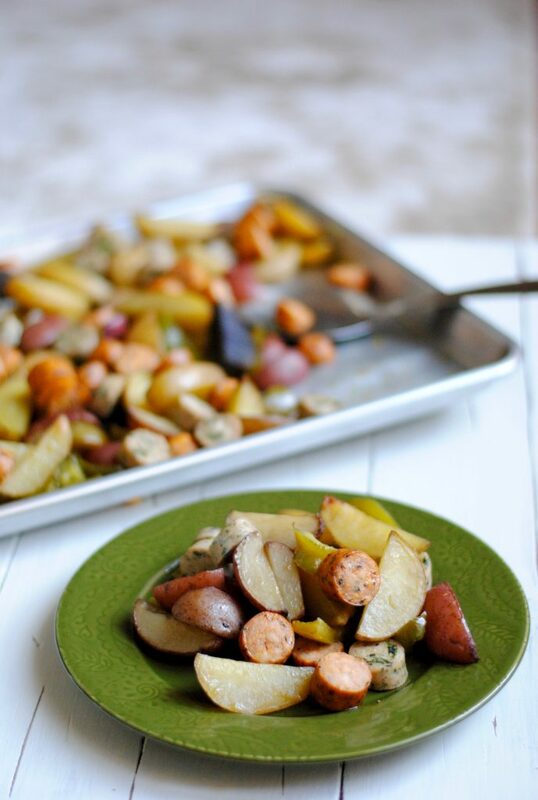 Sheet Pan Chicken Sausage, Potatoes & Peppers is your answer! Truly, I know you guys are gonna love this one. Don’t have peppers on hand? Sub in some mushrooms, some asparagus or maybe even some broccoli. Want more veggies? I actually served mine atop some greens, almost as a salad. It was delish! Make sure to cut your veggies evenly to ensure that they cook through well. This really relates to the potatoes. I suggest using avocado oil or ghee and avocado oil or coconut oil spray for cooking because of their higher cook point than olive oil. 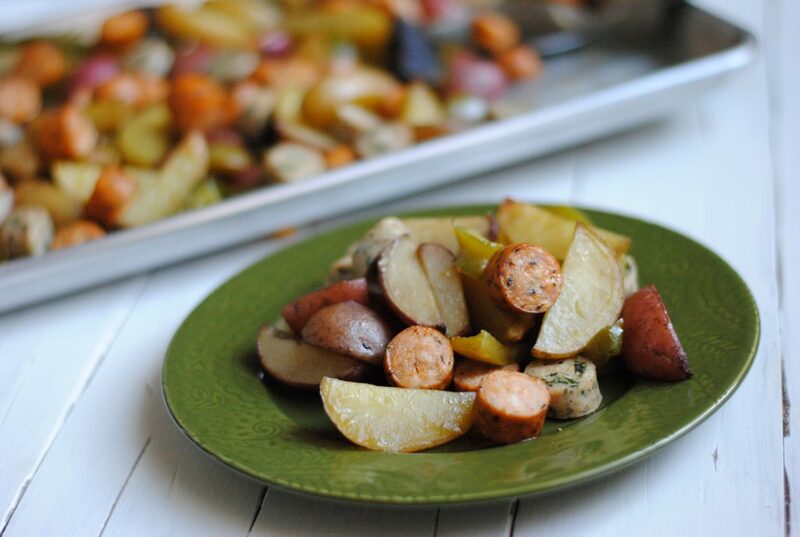 Sausage, potatoes and peppers in a one-dish meal that's simple and sure to please. Preheat the oven to 375 degrees F. Combine potatoes pieces and bell peppers in a large bowl. Add oil and spices and mix to combine. Prepare a baking sheet by spraying with avocado or coconut oil. Spread peppers and potatoes on baking sheet. Bake for 15 minutes. Remove from oven and stir to help evenly cook vegetables. Bake for another 15 minutes. Stir again, and add sausage. Bake for 15 more minutes; test potatoes to ensure they are done before removing. Serve as is or atop greens for added vegetables. Do you think you’d miss the grains in this meal? 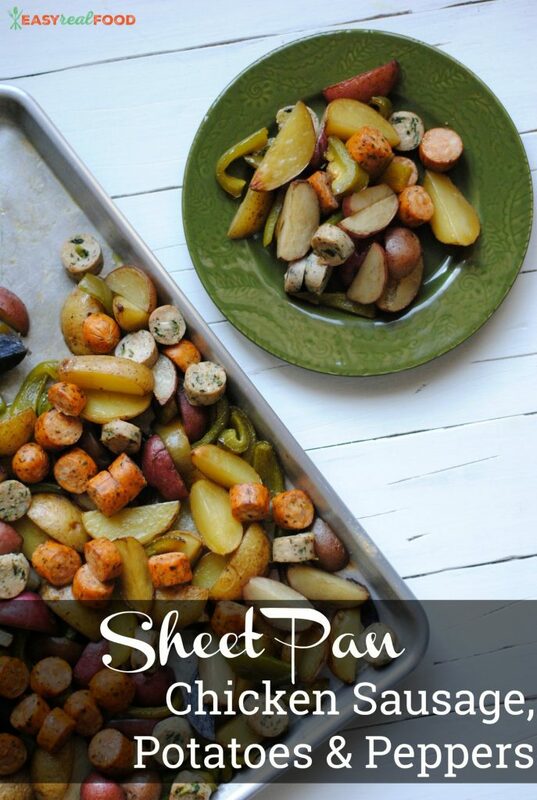 I’m loving sheet pan meals! Sausage seems to be particularly conducive to roasting with vegetables. 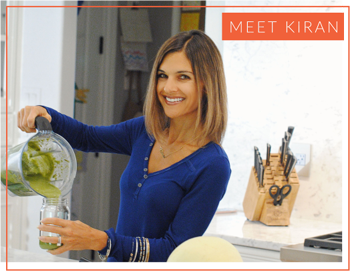 Your recipe is nice in that it’s simple and flexible.